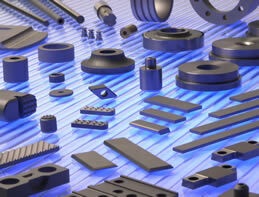 Lathanated Tungsten is one of three main Tungsten materials available from Dymet Alloys. Available in a rod and bar profile, Lanthanated Tungsten has good welding properties making the material particularly suitable for specialised applications such as the manufacture of flash lamps. Lathanated Tungsten is available in stock sizes, ground on diameter and cut to a required overall length to form rods, bars, discs, pins and shaped electrodes. Please give Dymet Alloys a call on +44 (0) 1252 517 651 for a quotation and delivery lead time.